Marilyn J. (Mellstead) Stuart Bottoms, 87, of Upland, went home to be with the Lord, Tuesday morning, February, 12, 2019, in University Nursing Center, Upland. She was born in Portland, Michigan on May 22, 1931, the daughter of the late Clifford and Helen (Wilcox) Mellstead. She graduated from Portland High School, Portland, Michigan in 1949. Then later she graduated from cosmetology school and was a Beautician from 1957 – 1965. Marilyn married Carl “Willard” Stuart in 1949 and he preceded her in death in 1971. She married Clifford Bottoms on July 6, 1974, in Russellville, Kentucky. Mrs. Bottoms worked in a dress shop in Kentucky, then after moving to Upland, was employed at Upland Drugs and was the Assistant Librarian at the Upland Library for many years. She was raised in the Methodist church from birth and had attended Upland Community Church for the last 5 years, becoming a member within the last year. 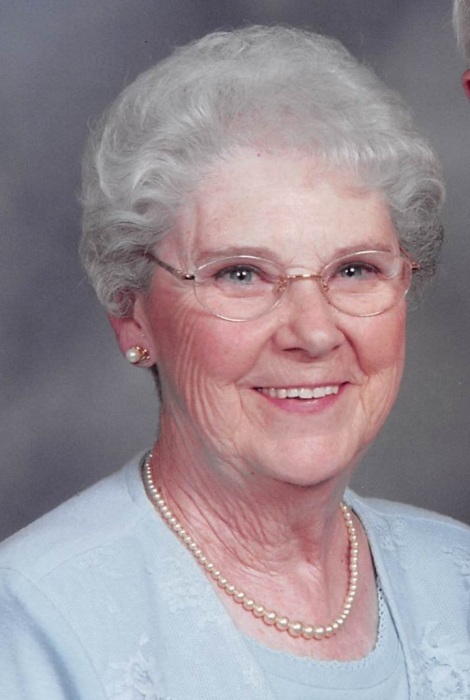 She was an avid golfer and enjoyed reading, doing word search puzzles, painting, traveling, singing in the church choir, and singing in the Marion Easter Pageant for 10 years. She also attended a women’s Bible study group at church and loved attending various events in which her grandchildren were involved. Survivors include her husband of 44 years, Cliff; three children: Robert (Jodi) Stuart, Russellville, Kentucky; Melody Stuart, Atlanta, Indiana; and Carla (Jon) Trout, Marion; five grandchildren: Patrick and William Stuart, Bowling Green, Kentucky; Joshua Trout, Anderson; Kayla Trout, Nashville, Tennessee; and Emily Trout, Marion; one sister: Janice (Jack) Patrick, DeWitt, Michigan. In addition to her parents and first husband, she was preceded in death by a sister, Lorna Ainslie. Arrangements were entrusted to the Jones-Smith Chapel of Armes-Hunt Funeral Home & Cremation Services, 259 N. Main St., Upland, where a visitation will be held from 4-7 pm, Thursday, February 14, 2019. 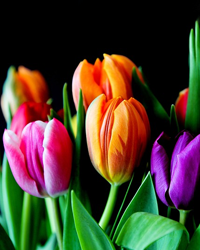 The funeral service will be at 10:00 am, Friday, February 15, 2019, at the funeral home, with Pastor Dan Blosser officiating. Burial will follow in Jefferson Cemetery. In lieu of flowers, memorials may be made to the Upland Community Church Mortgage Fund, 439 W. Berry Ave., Upland, Indiana 46989.